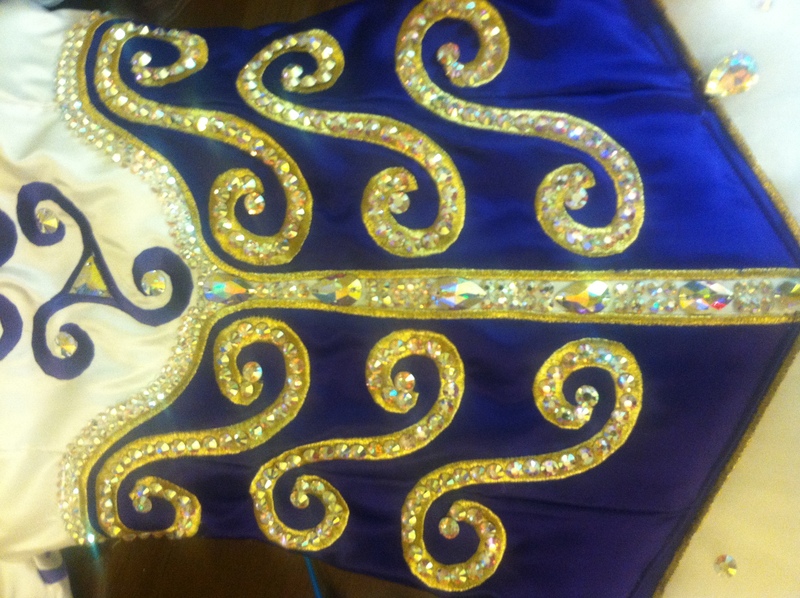 Stunning white, purple and gold Championship dress loaded with AB Crystals. 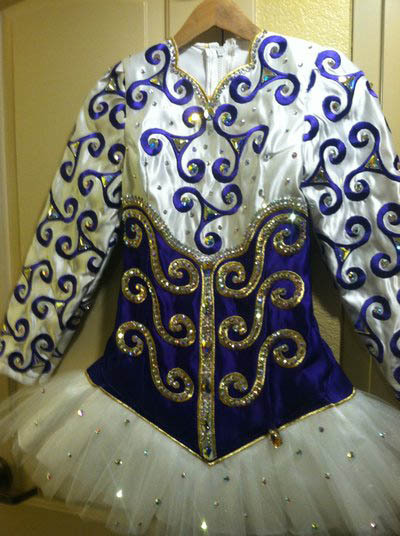 Dress was made for the Western Regional Oireachtas 2013. Stored flat in a smoke free, pet free home. 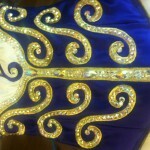 Asking Price: $US1000 OBO. Shipping costs are included for my own country, overseas shipping is extra. Returns are negotiable.